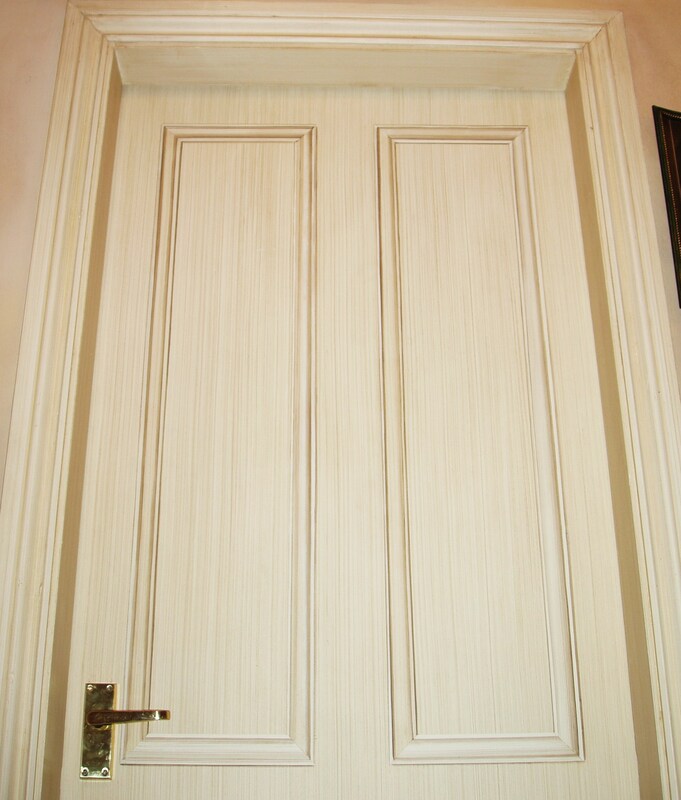 This hand painted trompe l’oeil niche was commissioned by Garth Antiques in Harrogate to spruce up their shop doors and create some visual trickery. 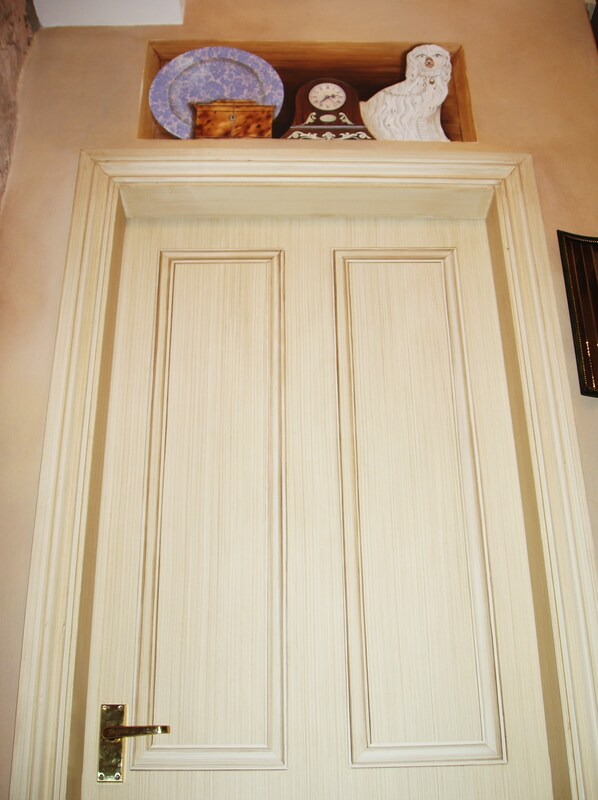 For each of the doors I also hand painted several trompe l’oeil panels before giving them a subtle dragged paint effect. 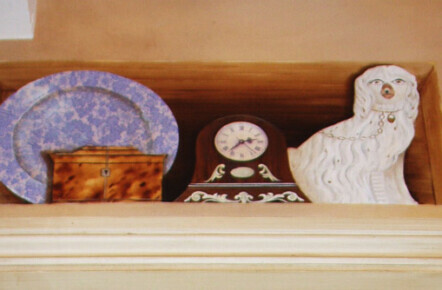 Above one of the doors I also created the trompe l’oeil niche with various antiques inside it. The trompe l’oeil must have done the trick as it soon became a taking point, getting lots of great comments from visitors to the shop.